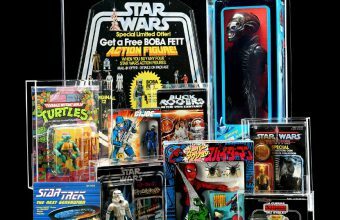 A vintage Star Wars toy has sold for more than $27,000 at auction in the U.K. The ‘Vinyl Cape Jawa figure was released in 1978, and is regarded as the ‘Holy Grail’ of Star Wars toys for many collectors. During a sale commemorating the film’s 40th anniversary at Vectis Auctioneers last week, an unopened example fetched a record £21,600 ($27,800). The Jawas were amongst the first wave of toys produced by Kenner following the release of Star Wars in 1977. As no one (apart from perhaps George Lucas) had anticipated the film’s huge success, the action figures weren’t ready in time and didn’t hit stores until several months later. 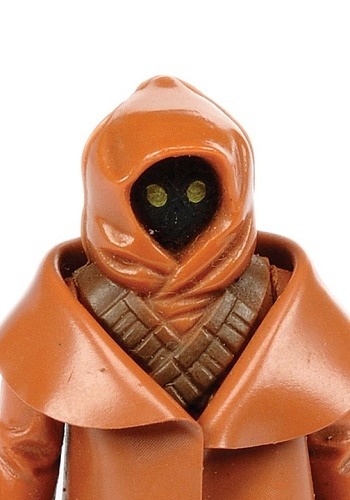 Despite their diminutive size, the Jawa figures were still priced the same as all the other Star Wars figures in toy stores, retailing for around $2.50. The figures also wore removable capes made from thin vinyl which were easily ripped, and Kenner worried that customers weren’t getting value for money. Six months into production they changed the thin plastic capes for thicker fabric versions instead, unknowingly creating a rarity which collectors would fight over four decades later. 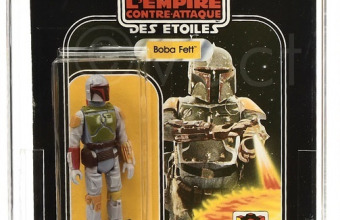 Today, even ‘loose’ figures that have been removed from their original packaging can sell for thousands of dollars. But those examples that remain unopened and untouched are the highest prize of all. It estimated that there are less than 10 examples backed on their original cards from Palitoy – the British toy company that distributed Star Wars figures in the U.K. 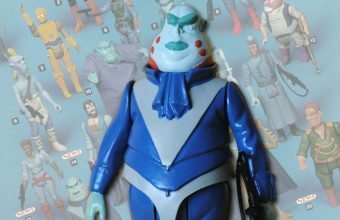 According to reports, the figure sold at Vectis belonged to a former Palitoy employee, and had remained hidden away in a cupboard for years. Earlier this year another carded example sold at the same auction house for $12,750 – but the latest price shows that competition for the few remaining figures is heating up.